General Electric manufactures the Profile line of wall ovens. A wall oven is an oven that is installed in a wall as a built-in oven. The appliance is covered under a one-year warranty. General Electric warrants it to be free of defects and will pay the cost of repairs during the first year of ownership. Troubleshoot the wall oven before calling for servicing. Resolve common issues at home. 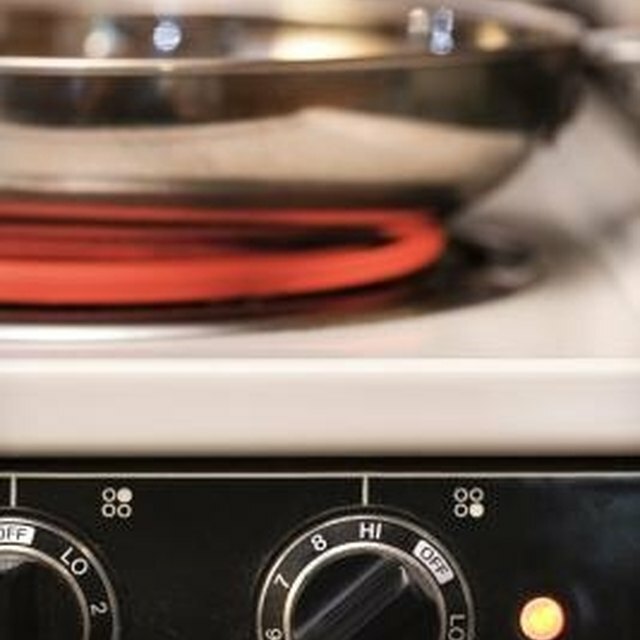 Press "Bake" and select the desired temperature if the control signals after a cooking time is entered. Grasp the light bulb inside the oven and turn it clockwise to tighten it if the light does not work. Turn the bulb counterclockwise and remove it if it is blown. Place a new bulb in the socket and tighten it. Pull the oven rack firmly until it is fully extended to reset the bearings if the extension rack is difficult to slide or makes excessive noise during sliding. Allow the oven to cool before setting a self-clean cycle. If the oven is too hot, it will not start a self-clean cycle. Press "Clear/Off" and open a nearby window if the oven smokes during a self-clean cycle. The oven has excessive soil. Allow the oven to cool. Remove excess soil with a damp cloth. Allow the oven to cool after a self-clean cycle completes if the door will not open. "Oven Locked" will appear on the display until the oven has cooled and the door will remained locked. This is a safety feature. Press the "Clear/Off" button if "Oven Locked" appears on the display when you need to use the oven. After the oven cools, the door will unlock. Clean the control panel if the keys activate when the oven door opens. Mix equal parts water and vinegar in a bowl. Dip a clean cloth into the mixture and wipe the controls with the cloth. Dry the control panel with a soft cloth. Press the "Clear/Off" button if "F" followed by a number appears on the display. Allow the oven to cool for one hour. If the code displays again, turn off the breaker or remove the fuse powering the oven and wait 30 seconds before restoring power. Call for service if code continues to display.